Submitted photo The Secret Keeper Girl (SKG) Masterpiece World Tour will stop at Cedarville University Saturday, Nov. 17. Designed for girls ages seven-12 years old, the Masterpiece World Tour takes girls back to the creation story in Genesis to learn the foundation for personal confidence. Attendees will discover that they are a special part of God’s creation, which He called good, so they shouldn’t think of themselves as not good enough. CEDARVILLE — The Secret Keeper Girl (SKG) Masterpiece World Tour will stop at Cedarville University Saturday, Nov. 17. The event will be held in the Dixon Ministry Center Chapel 3:30-6 p.m. Designed for girls ages seven-12 years old, the Masterpiece World Tour takes girls back to the creation story in Genesis to learn the foundation for personal confidence. Attendees will discover that they are a special part of God’s creation, which He called good, so they shouldn’t think of themselves as not good enough. While other girl-empowerment initiatives focus on self-confidence, SKG recognizes that looking inside yourself won’t solve confidence issues. Instead, SKG urges girls to understand that God has created everyone uniquely and designed them for a purpose, shifting the focus of empowerment from self-confidence to God-confidence. 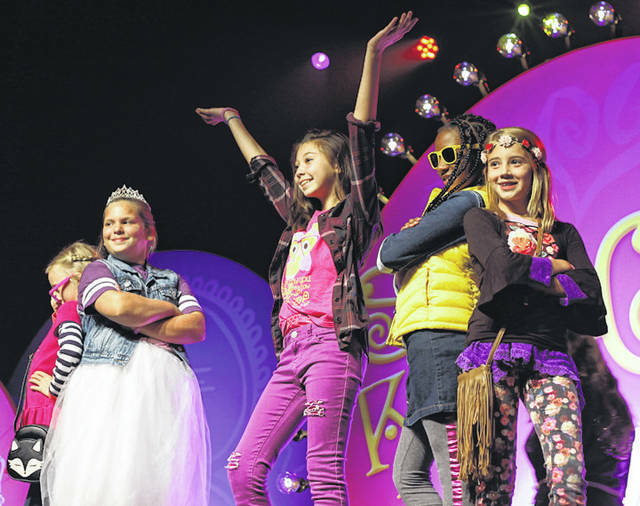 During the two-and-a-half-hour event, girls will experience high-energy worship, a biblical message, beach ball competitions and an all-new mother-daughter fashion show. Mothers will also be given intentional time to start important conversations with their daughters. Secret Keeper Girl was founded when Cedarville University graduate Dannah Gresh noticed that girls form their values about common teen issues like purity, family structure and sobriety not during their teen years, but from ages eight to 12. Secret Keeper Girl has been touring for the last 15 years, starting as a small team that would load into a 15-passenger van to speak at small events. Today, Secret Keeper Girl is the largest mother/daughter stage show in North America, with approximately 80 shows a year. Tickets are available at secretkeepergirl.com. https://www.xeniagazette.com/wp-content/uploads/sites/32/2018/11/web1_Secret-Keeper-Girl_ne2018111121046543.jpgSubmitted photo The Secret Keeper Girl (SKG) Masterpiece World Tour will stop at Cedarville University Saturday, Nov. 17. Designed for girls ages seven-12 years old, the Masterpiece World Tour takes girls back to the creation story in Genesis to learn the foundation for personal confidence. Attendees will discover that they are a special part of God’s creation, which He called good, so they shouldn’t think of themselves as not good enough.